Days later, the body of a man is discovered and within his pockets lies the typed sheets of that first narrative. The Gardai follow the text closely and deduce that the hitchiker must have been murdered as well. They swiftly find her mutilated body. EVery so often a new crime writer emerges to captivate with a unique style that really does grab the reader. Ireland's Jim Lusby is one such writer. 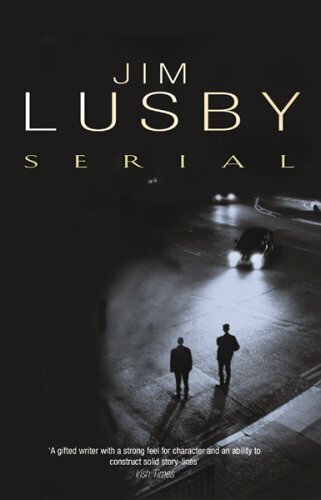 "Serial" is no easy read, and Lusby certainly sets himself a task in the way he sets out his stall: chapters that deal with specific people and events, intermingling with others throughout. A serial killer is on the loose in rural Ireland, and the special team of Gardai set up to hunt him/her down is left in the wake of baffling murders that make no sense whatsoever, save for the ears missing from the victims. Slowly, though, a pattern emerges, as Lusby skilfully brings the whole plot together. His construction of characterisation is enticing to read, with the story building to a tense crescendo. A thoroughly recommended read from a writer who'll be around for a while to come.